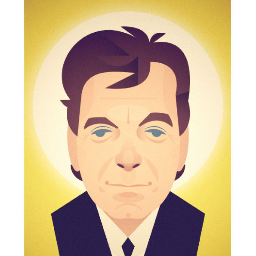 St Anthony is a poem written by Manchester's Mike Garry to commemorate the life of Tony Wilson who passed eight years ago this month after a battle with cancer. Mike has teamed up with celebrated composer Joe Duddell to produce a version of the poem that's set to music to help raise funds for The Christie where Tony was treated in his final days. The song is set around New Order's Your Silent Face and such is the love for Tony that all members of the band finally found something to agree on when consenting without question to the use of the track. The video to the song was filmed by the Soup Collective and consists of a who's who of influencers and participants in the Manchester music scene that Tony helped to build and direct from the likes of Joy Division in the 70s, through the halcyon days of the Hacienda, Madchester and the comedown from those hedonistic times as Factory went to the wall. He was known as Mr Manchester, such was his influence and the love that he inspired. Included in the video are, amongst others, Iggy Pop, Bernard Sumner, Shaun Ryder, John Bramwell, Larry Gott, Rowetta and John Cooper Clarke as part of an almost endless list of celebrities who want to pay tribute. The single is being released as a download, CD and vinyl on Pete Jobson of I Am Kloot's Skinny Dog label and includes a remix of the track from Andrew Weatherall. There's a launch event at Granada Studios where Mike and Joe will perform the track alongside a number of famous Manchester DJs past and present. All funds raised by the project will go to The Christie. Mike Garry's official site can be found here and he is also on Twitter. Joe Duddell's official site can be found here and he is also on Twitter. The St Anthony project's website is here, where you can pre-order the single and book tickets to the launch event to be held at the old Granada Studios in Manchester this Friday, August 14th. Follow them on Twitter for any updates. We will be running an interview with Mike and Joe later this week.